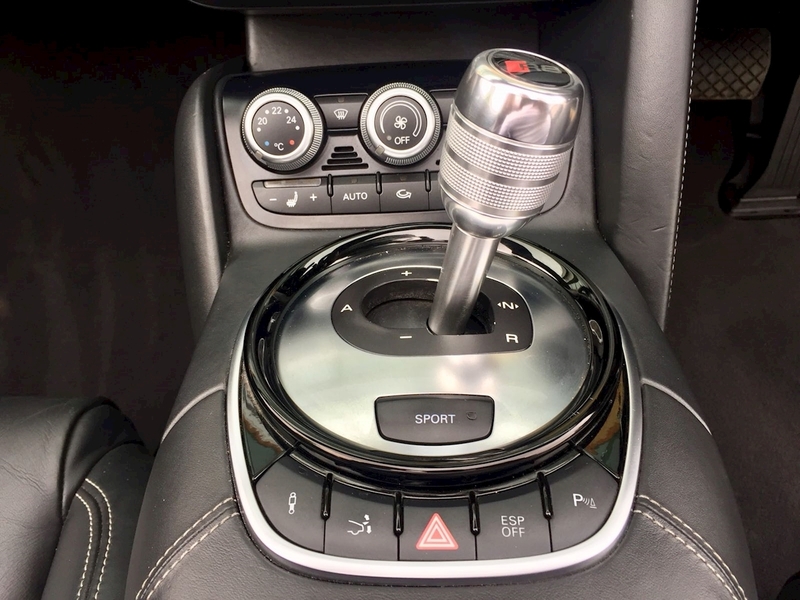 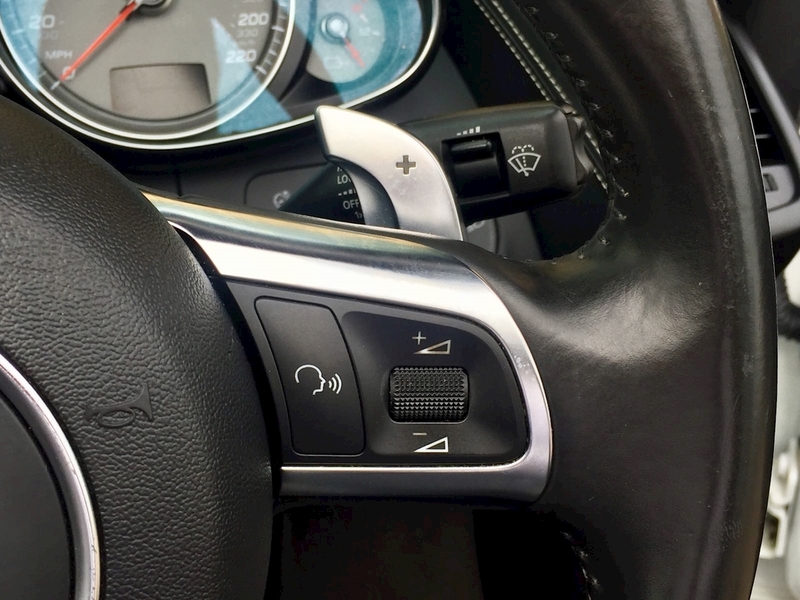 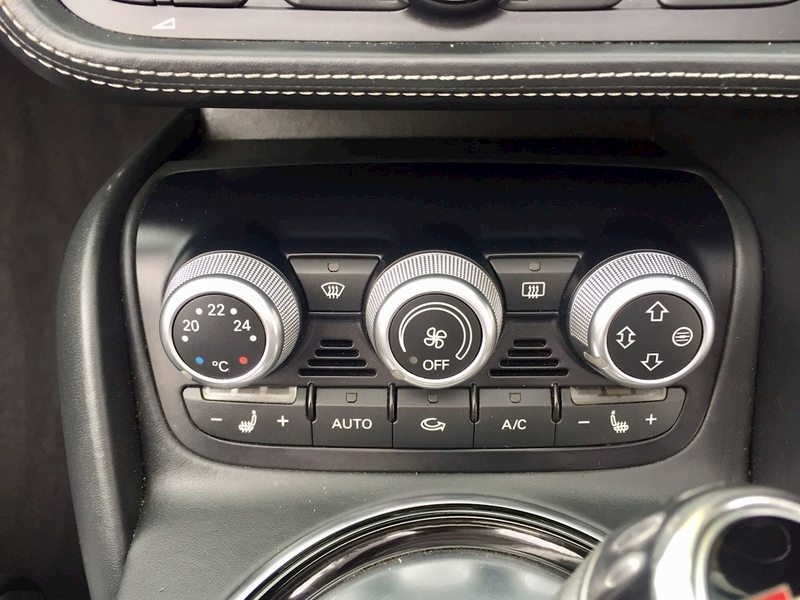 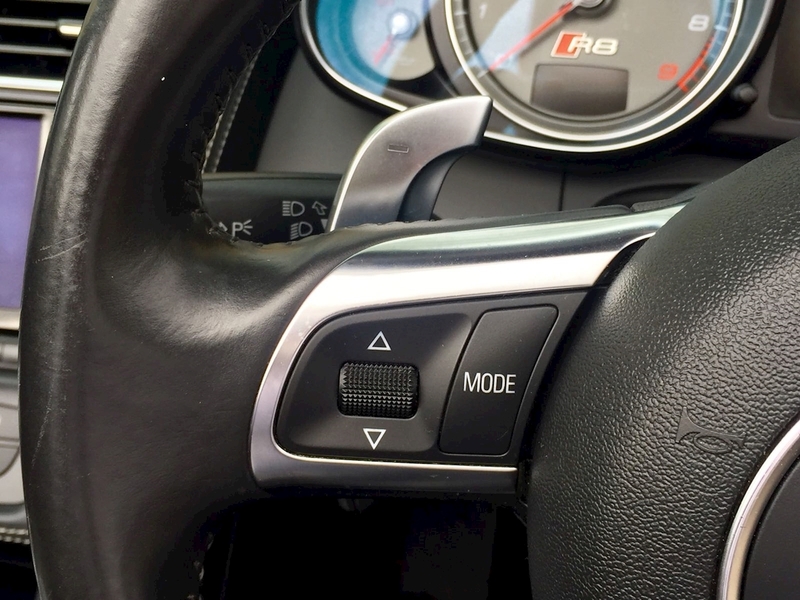 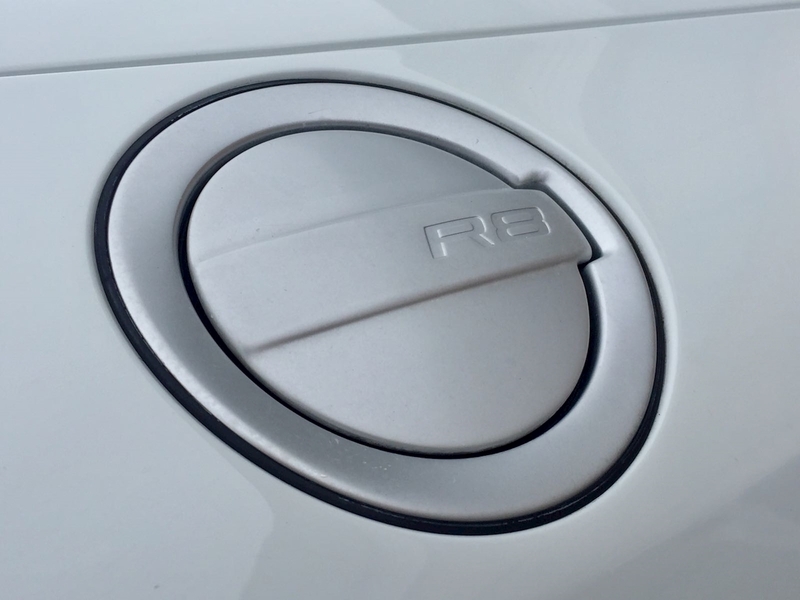 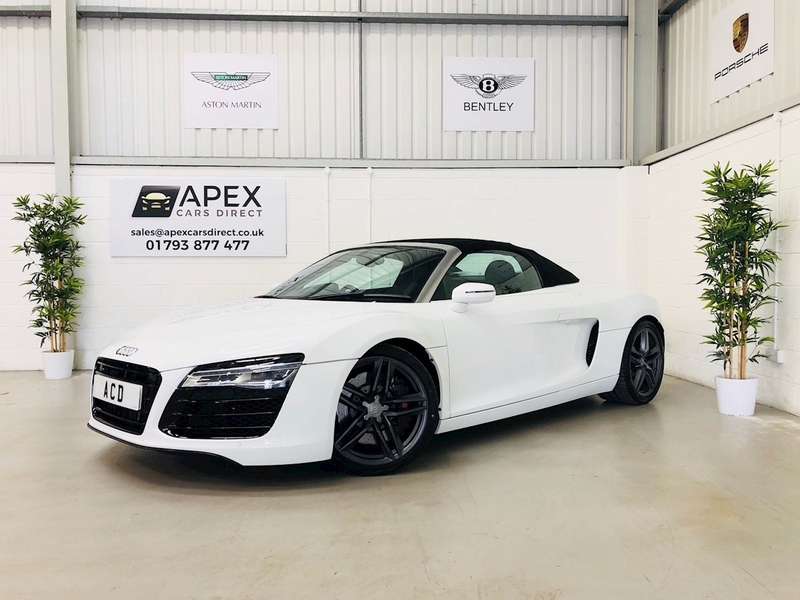 This beautiful R8 V8 Spyder S-Tronic comes with an impressive specification that includes the outstandingly powerful LED Headlights, plus Audi Magnetic Ride, Satellite Navigation Plus, Audi Parking System Advanced including Reverse Camera, Bang & Olufsen Sound System, Audi Music Interface,Cruise Control, Bluetooth Mobile Phone Preparation, Auto-Dimming Electric Folding Heated Mirrors, Multi-functional Steering Wheel with Paddleshift, Electric Heated Seats, Wind Deflector, plus much more. 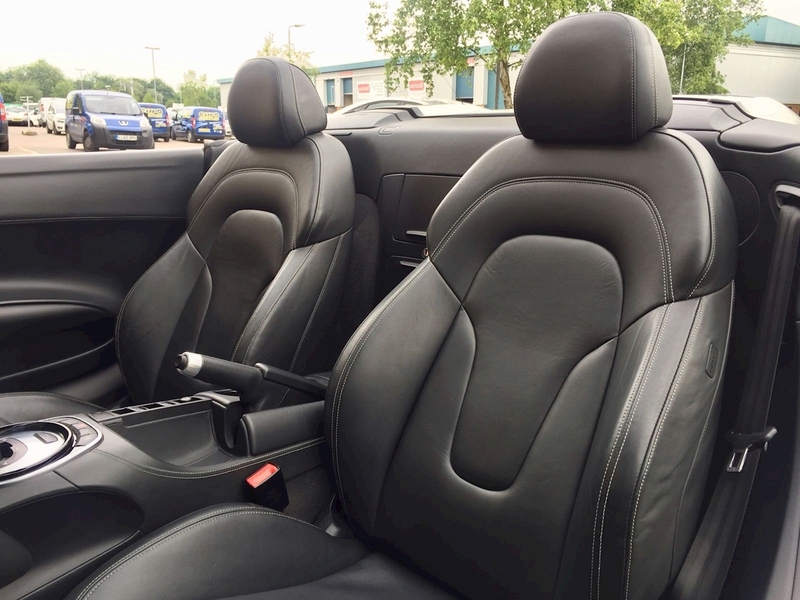 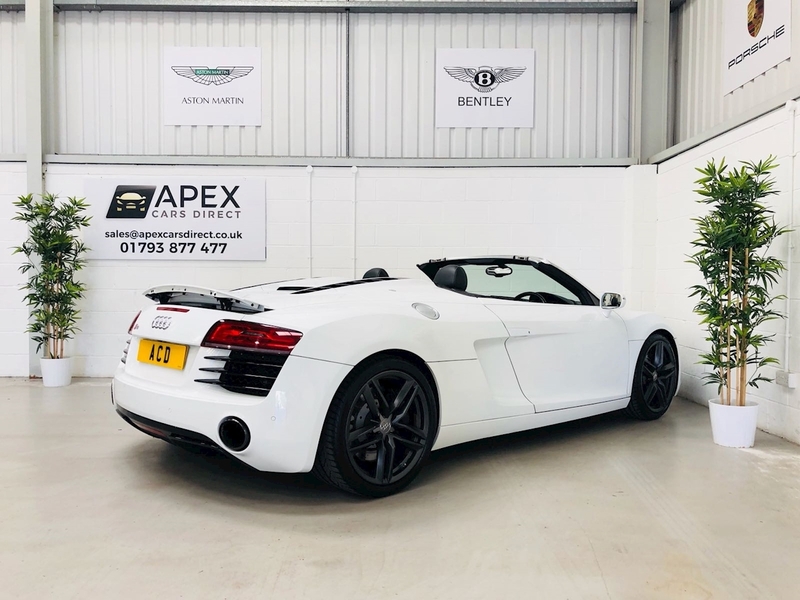 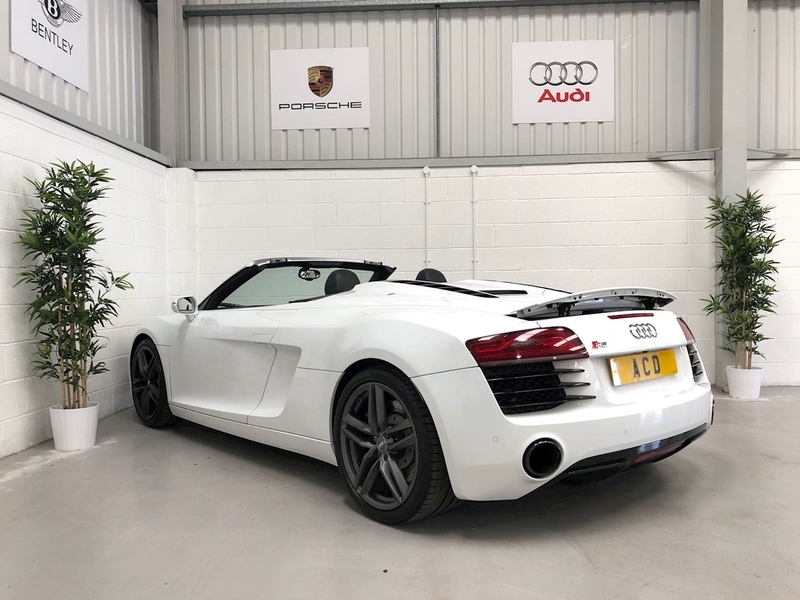 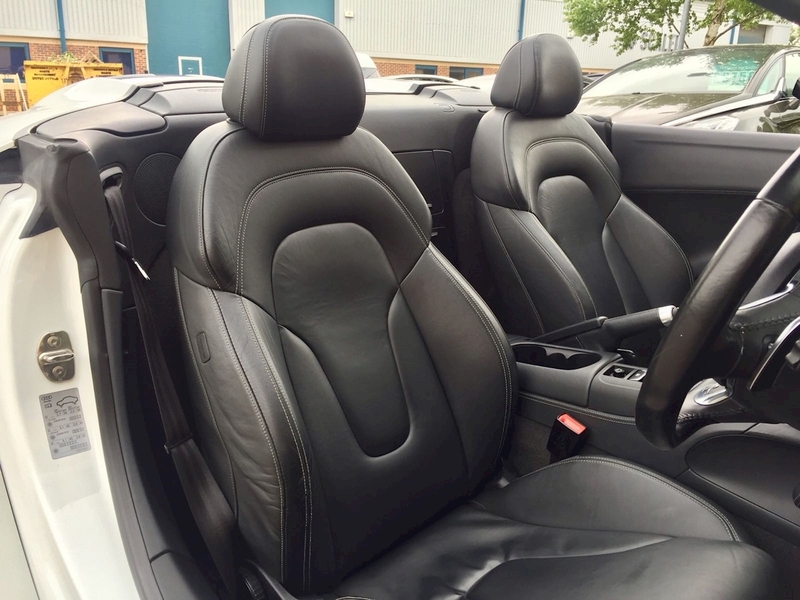 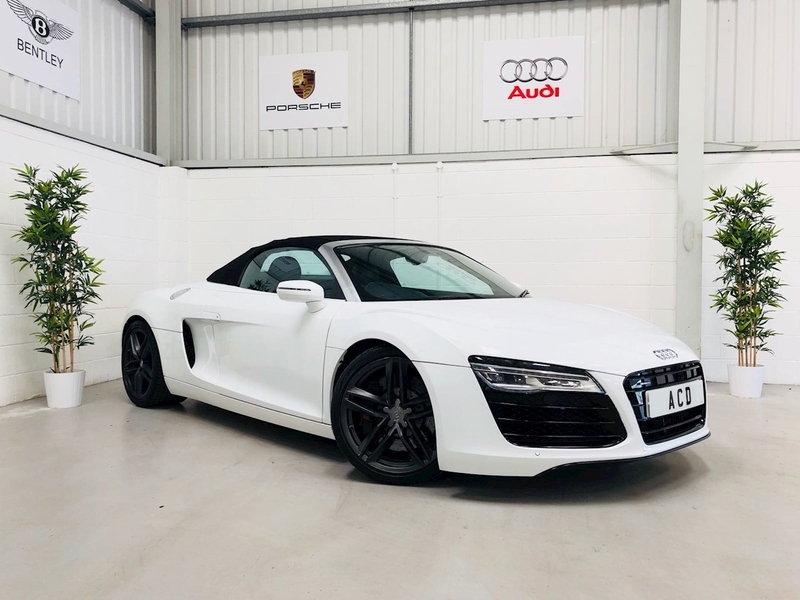 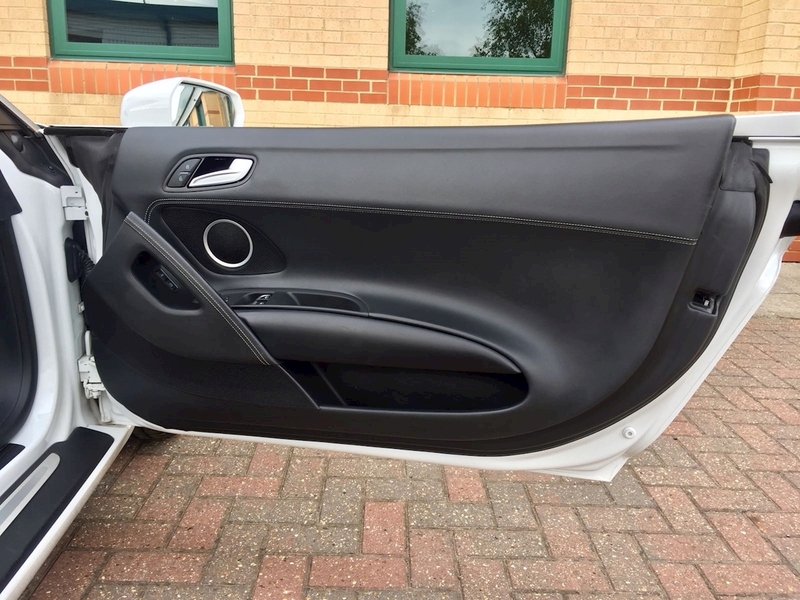 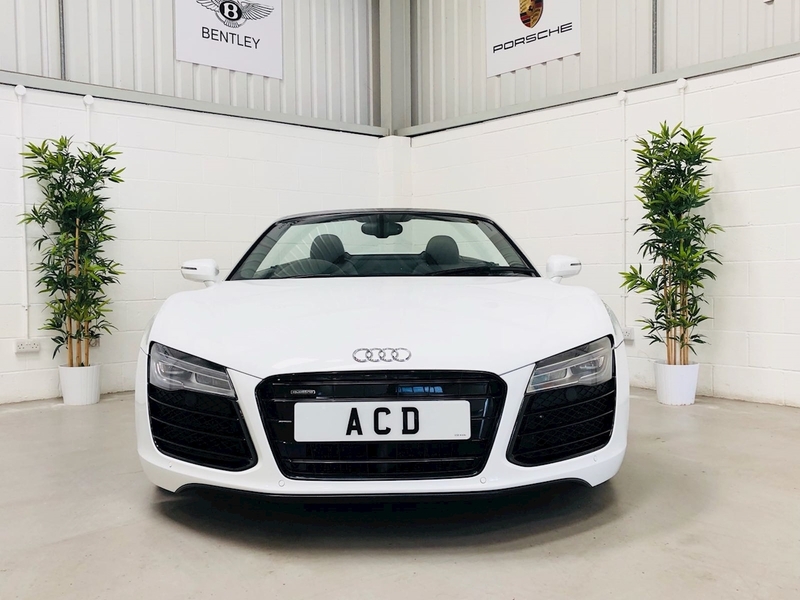 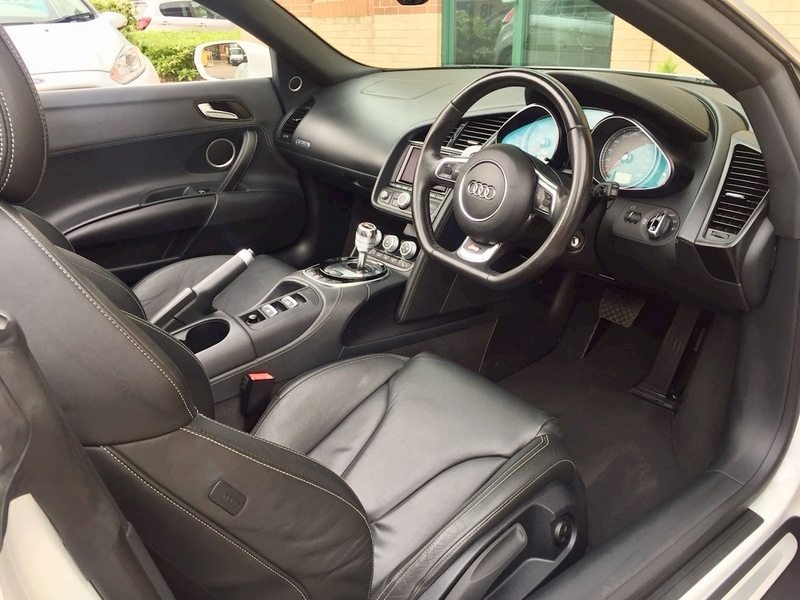 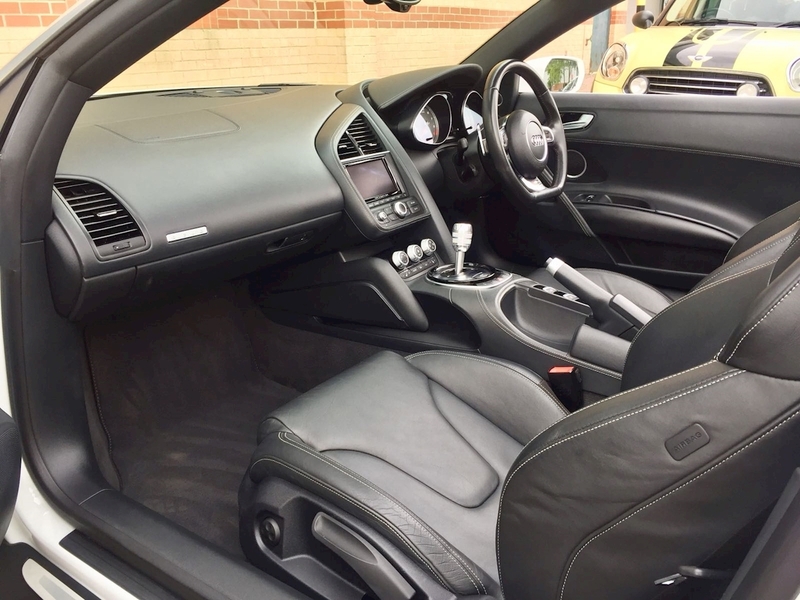 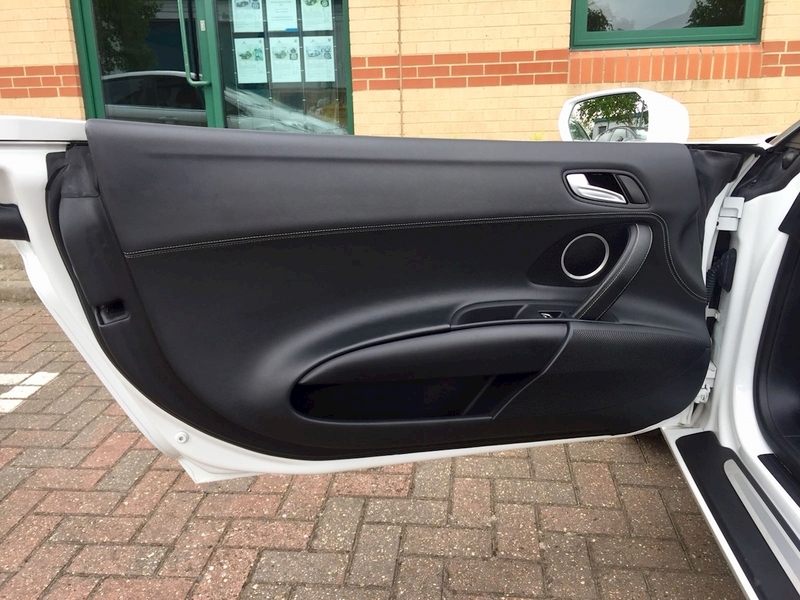 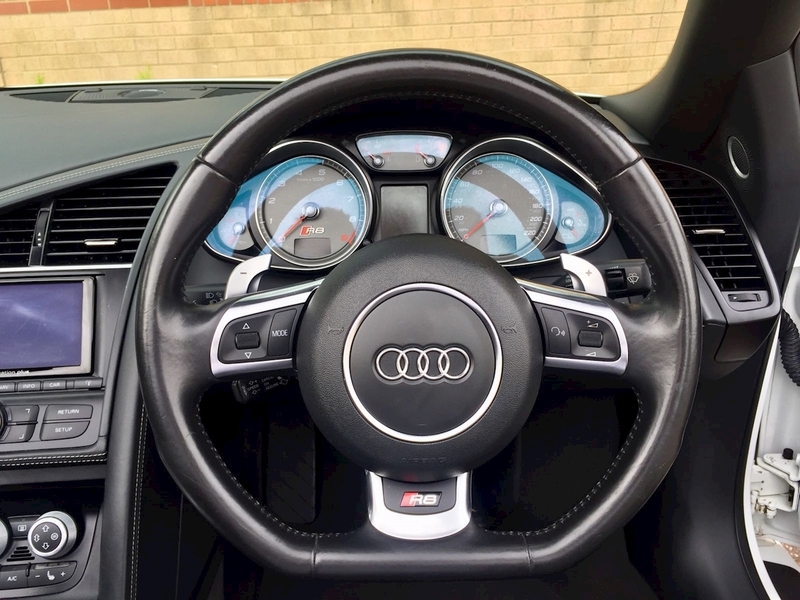 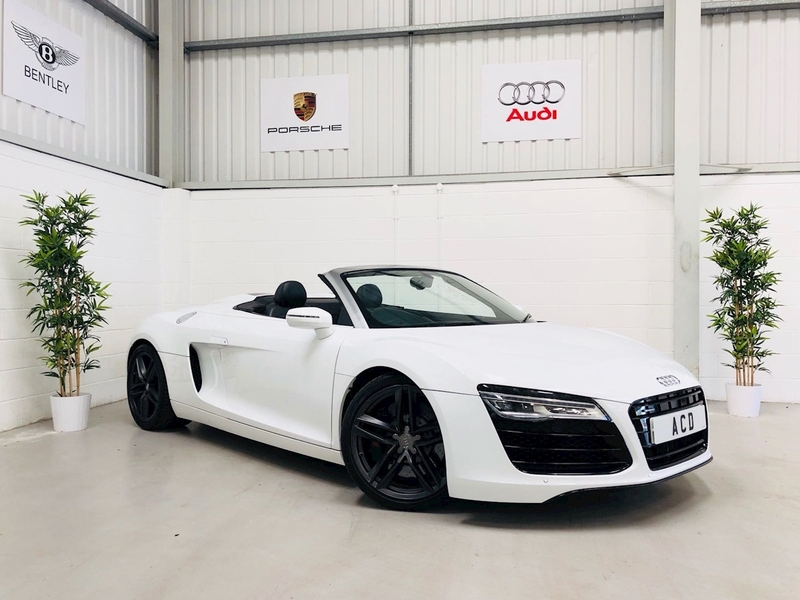 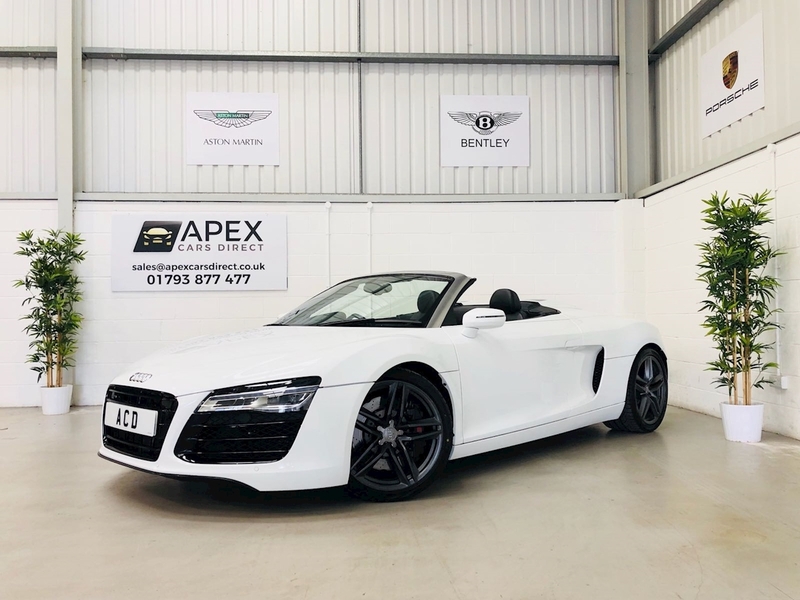 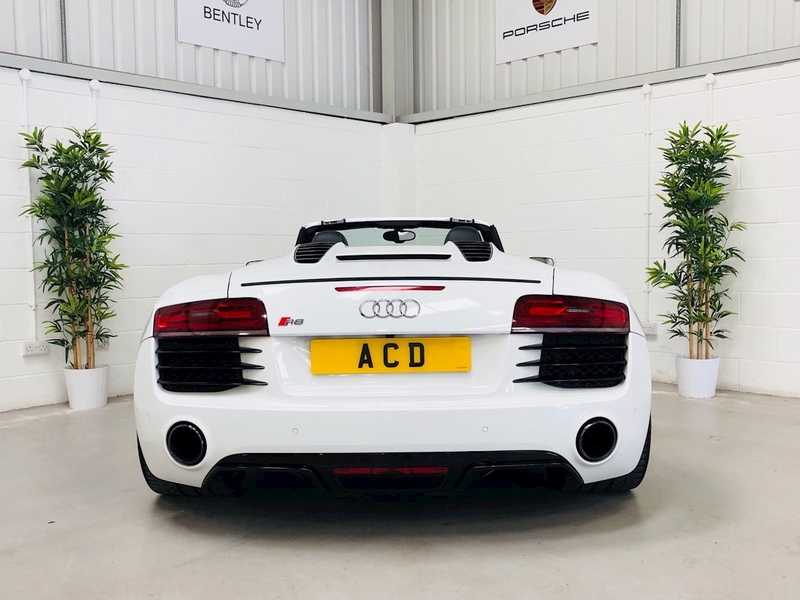 This stunning sports car has been finished in Ibis White with extended black Fine Nappa Leather Interior with coloured stitching and it has 19 inch 5 Arm Double Spoke Audi Design Alloy Wheels. 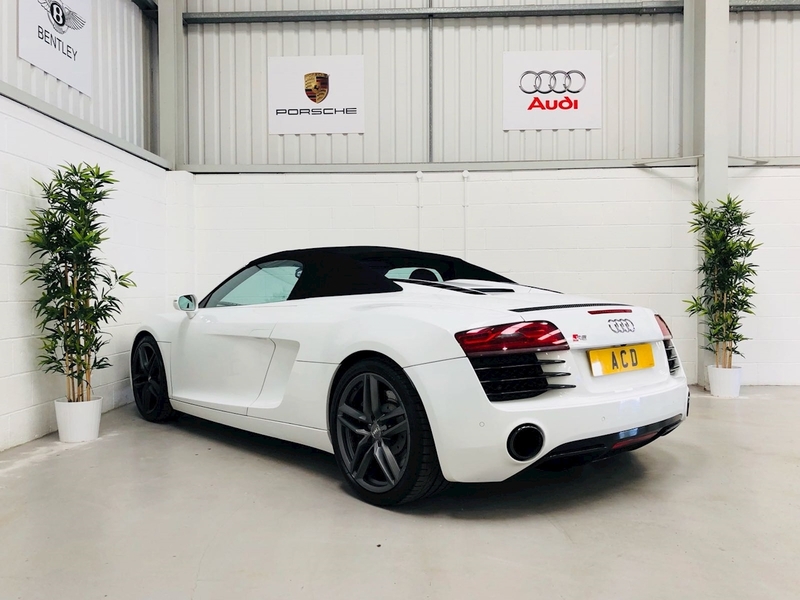 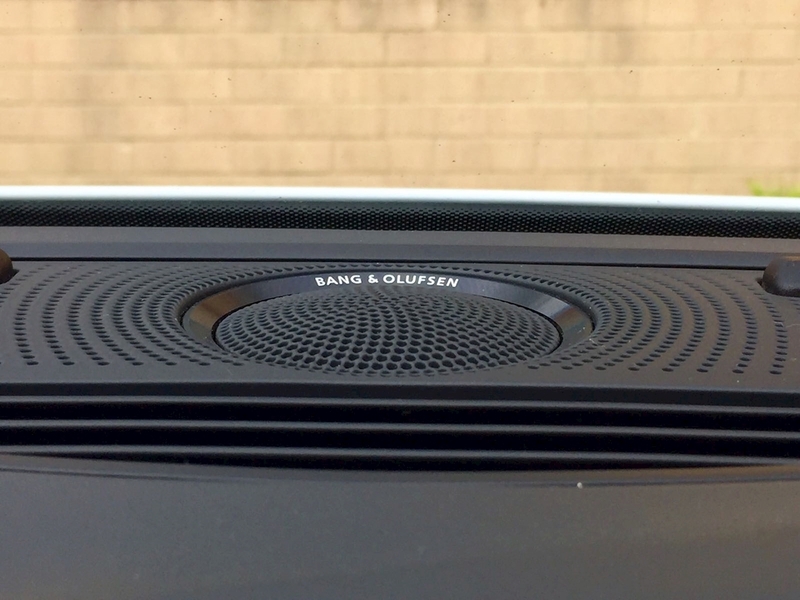 It has a full service history including recent service at Swindon Audi. 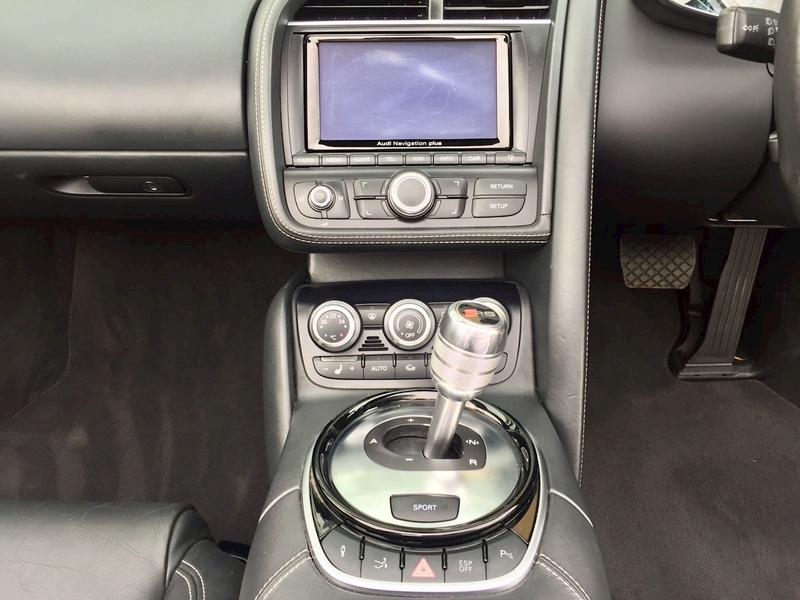 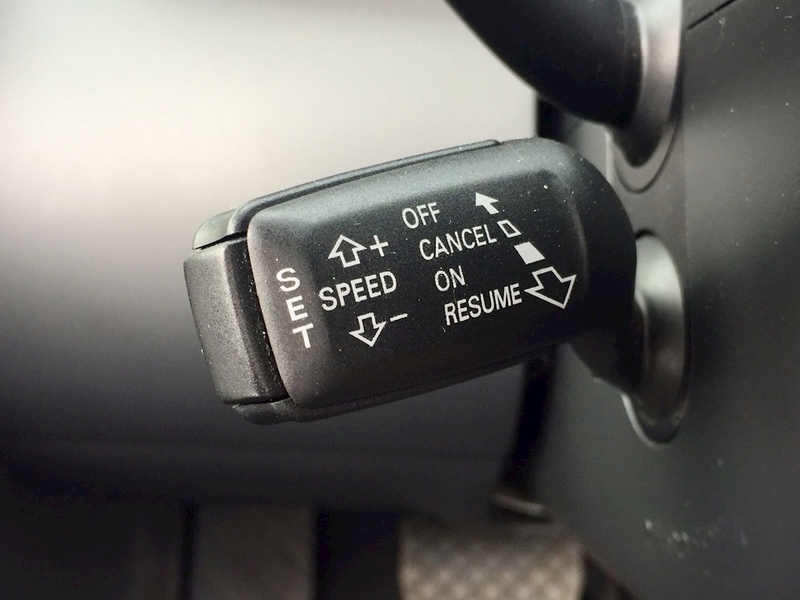 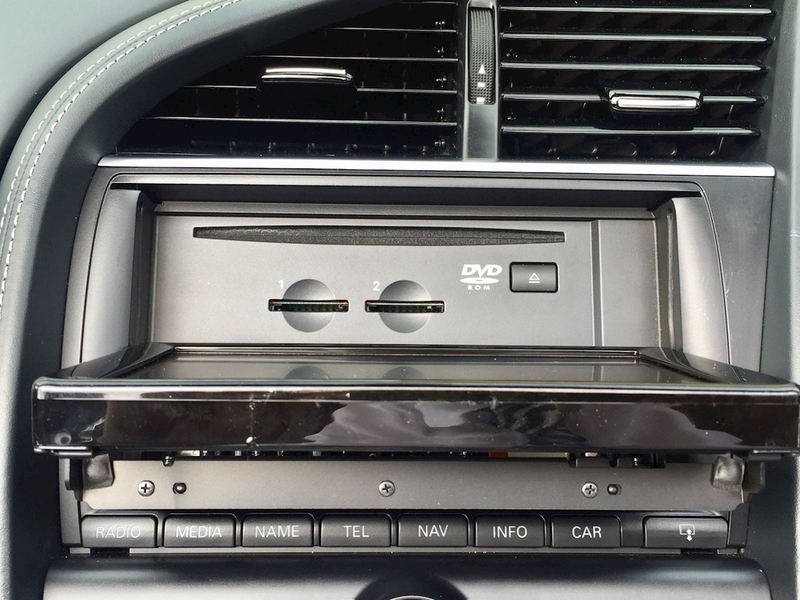 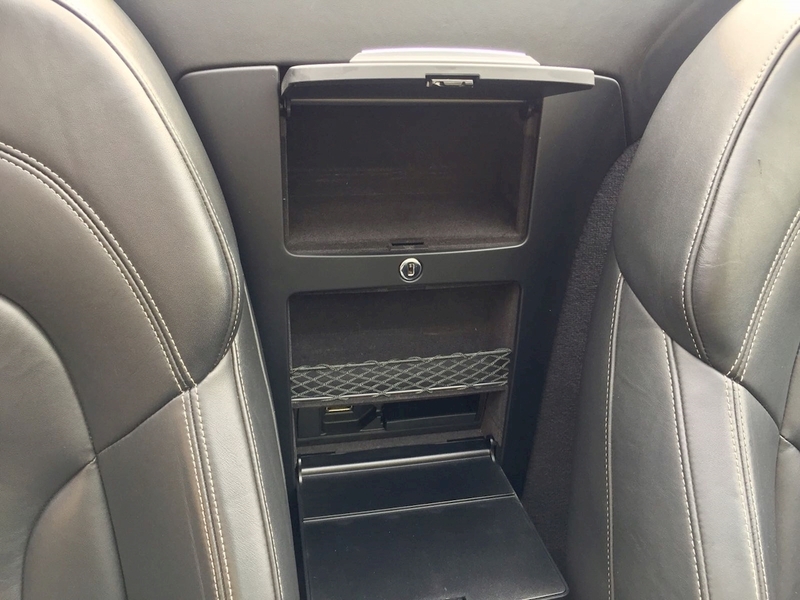 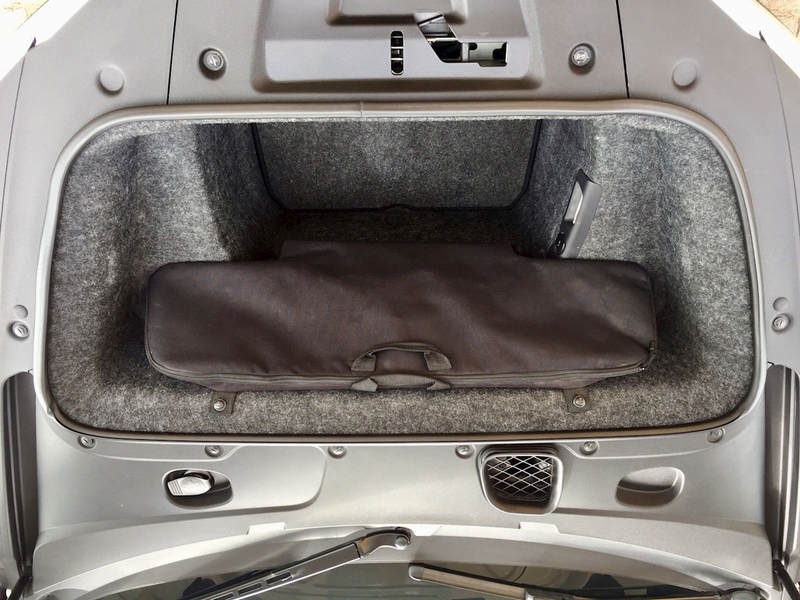 It is supplied with 2 Remote Central Locking Keys, Driver Manuals and all the relevant documentation.